On our last school holiday trip in Melbourne, we attended one of Dr Loz’s SciencePlay Kids school holiday session at the Footscray Community Arts Centre. Little Miss was so inspired after the class and loved it so much, she spoke to her dad and I in length about her space probe and alien she made during the class and how she wanted to attend another class the next day! Some of you may have remembered the Melbourne Minor gang featuring on Busy City Kids with their review (link here) of SciencePlay Kids when it first started in 2016 in Maidstone. 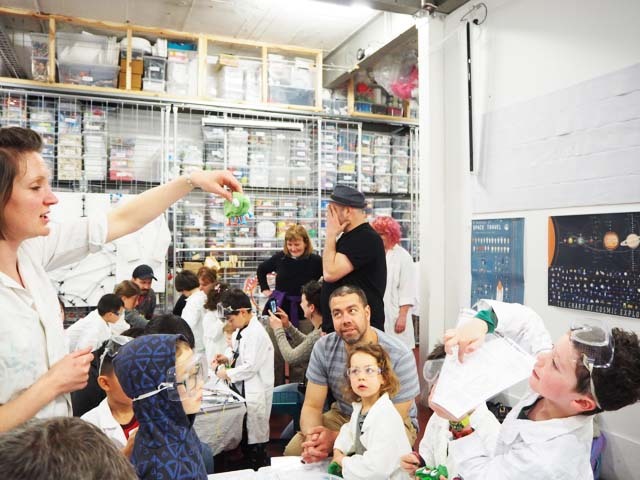 Since then, Dr Loz’s popular science workshops and school holiday program sessions have grown in popularity, so as her team and gear so SciencePlay Kids found a new home at the Footscray Community Arts Centre. Little Miss really enjoyed making her first space probe during the class, listening to Dr Loz’s explanations about space and completing the task by herself with a helping hand from the team for the tricky bits. She loved seeing her space probe glow in the dark and make noise with the special battery packs. Little Miss also enjoyed making her own alien, her brother enjoyed doing this task too. 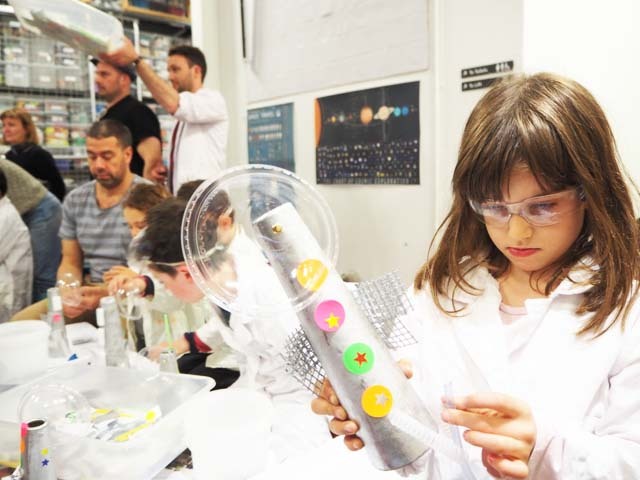 Our SciencePlay Kids session was by far the best school holiday session we have done to-date. We learned so much about space, space crafts, space probes, space missions and so much more. Dr Loz is a true inspiration for kids and especially for little girls like Little Miss! For more information on SciencePlay Kids, head to their website. Busy City Kids were invited to Science Play Kids for the purposes of a review. All opinions & feedback are genuine & truthful. Food, travel and parking were self funded. SciencePlay Kids run various sessions at the Footscray Community Arts Centre, 45 Moreland St in Footscray. If you are attending a session, get there at least 10 minutes before the class starts. They also run term classes, special events, school holiday sessions and Mini Makers sessions at Highpoint Shopping Centre once a month so check their website (above) for more info and signup to their newsletter to keep informed.